After a heavy snowfall blanketed the region, John headed out before dawn to see what critters might be enjoying the new winter wonderland around them. 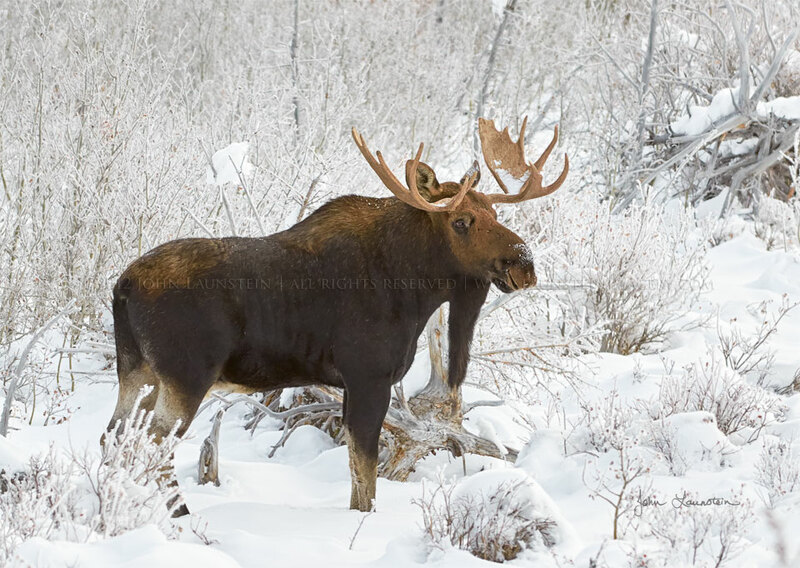 This handsome bull moose had more important things on his mind than soaking in the snowy beauty, as he had picked up the scent of a cow moose who had passed through the area just a short time before. Thankfully, he paused for just a moment to make sure no competitors were following before continuing on his quest.